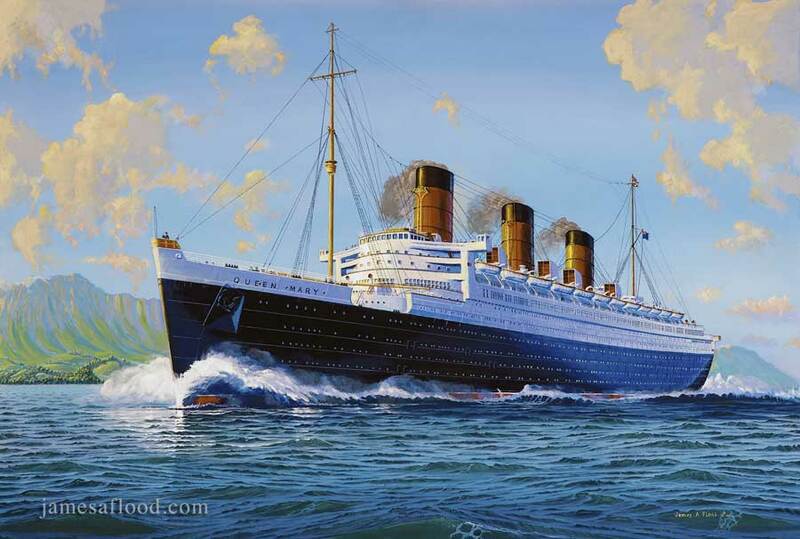 This painting shows the brand new RMS Queen Mary off the coast of the Island of Arran. Here the Queen Mary is conducting her speed trials, as well as other tests, to determine her efficiency before being turned over to Cunard. The Queen Mary will pass her tests effortlessly, and continue on to a magnificent career both in war and peace. Today she is permanently berthed in the Port of Long Beach, California, open to visitors as a museum, hotel, and convention center.